Kenna Hall and the Bauccio Lecture Series are hosting the final Kenna Women’s Leadership Forum of the year on Wednesday, March 30, at 7 p.m., in Franz Hall Room 120. 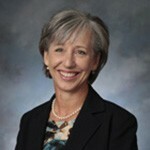 The speakers will be Sherri Bennett, executive director, and Stephanie Barr, director of programs, at YWCA of Clark County. 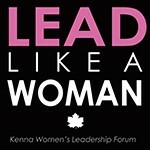 The Kenna Women’s Leadership Forum connects students with dynamic and successful women leaders from UP and the greater community. Group conversations follow speakers’ stories to allow students to develop their own identity as potential leaders. For more information contact Molly Cullen, residence life, at 7569 or cullenm@up.edu. The second Kenna Women’s Leadership Forum of the year will be Tuesday, November 10, at 7 p.m., in Franz Hall Room 120. Nursing dean Joane Moceri will share the story of her path to leadership, the decisions and choices along the way, and the unique gifts and challenges to being a woman in her role. The Kenna Women’s Leadership Forum connects students with dynamic and successful women leaders from UP and the greater community to highlight the idea that to “Lead Like A Woman” is to lead from women’s unique experiences and perspectives. All students, faculty, and staff are welcome. For more information contact Molly Cullen, residence life, at 7569 or cullen@up.edu. The Kenna Women’s Leadership Forum is in its second year and is now open to the greater campus community, according to Molly Cullen, residence life. Faculty and staff are invited to join with students to hear a talk by Jeanne Haster, executive director of Jesuit Volunteer Corps Northwest, on Thursday, September 24, at 7 p.m., in the Terrace Room in Bauccio Commons. 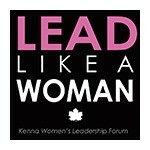 The Kenna Women’s Leadership Forum is an opportunity to hear the stories of women in leadership around the Portland community and engage in conversation around those stories and experiences of leadership. For more information contact Cullen at 7569 or cullenm@up.edu.